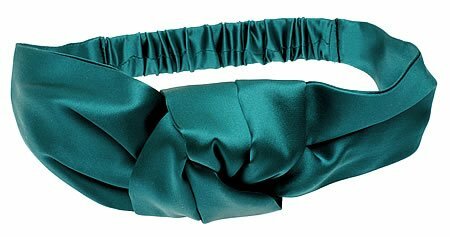 L. Erickson USA Silk Charmeuse Knot Turban - Silk Charmeuse Teal with Zeal by L. Erickson USA at Laurenee Lifestyle. MPN: L3073E-SC-07. Hurry! Limited time offer. Offer valid only while supplies last. The L. Erickson USA Knot Turban is a chic new style with classic roots. Show off your appreciation for comfortable styling with this hot new look.